Dickson Opera is a fabric wove specially from acrylic. Imported from Europe and designed for external use. The color resist fading and coated with water repellant up to 35%. The fabric is durable and soft but still maintain elegance look. Life span of 5-7 years depending on usage. 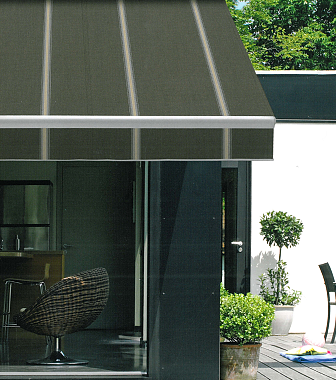 Sunbrella plus is 100% water proof acrylic fabric. The fabric is specially woven from acrylic imported from USA. It is designed for external use. Colors resist fading and coated with water repellent up to 100%. The fabric is durable and soft but still maintain elegance look. Life span of 5-7 years depending on usage. 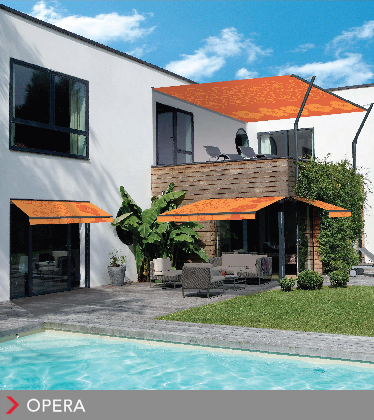 Docril Citel is specially woven from acrylic fabric. 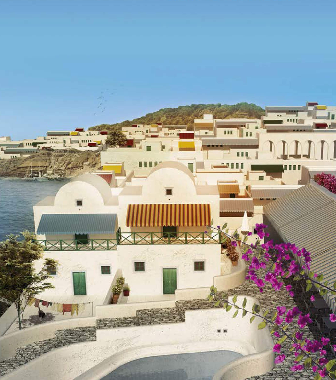 Imported from Europe and designed for exterior use. This acrylic fabric resists fading. This coated fabric is 35% water repellent and is soft but durable. It is elegance and last up to 5-7 years depending on usage. Produced from fabric imported from France. 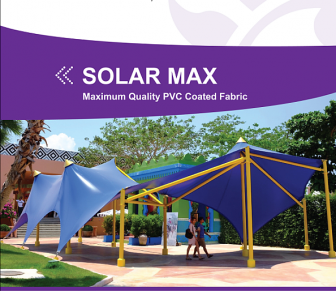 The fabric is PVC coated, high quality, and coated again with PVDF(Extra Self Cleaning). This flame retardant property makes this fabric suitable to be used as tension membrane. It has a life span of 7-10 years depending on usage. Produced from coated PVC, wove from polyester fabric. This fabric for tension membrane has a mixture of UV and mold protecting agent. 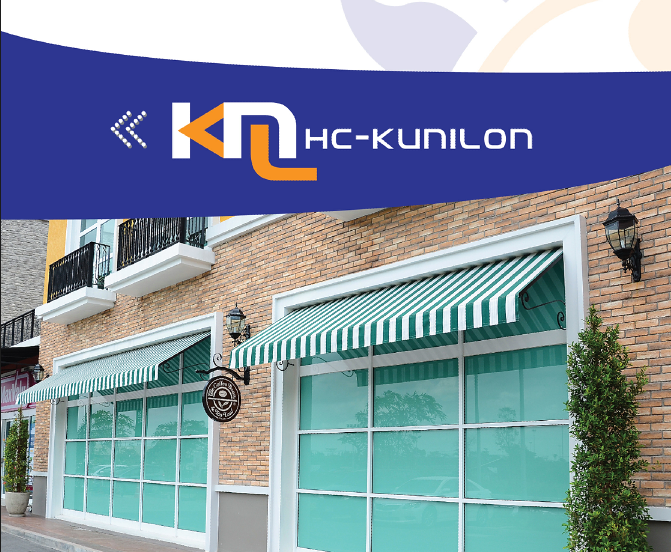 Fabric layer is coated with Acrylic and PVDF (Extra Self Cleaning and is 100%water proof. Flame retardant and block out model is suitable for tent that needs more durability. It has a life span of 7-10 years depending on usage. High quality Coated Fabric canvas is durable with a UV protecting agent and coated for fabric smoothness. It is 100% water resistance with a life span of 5-7 years depending on usage. 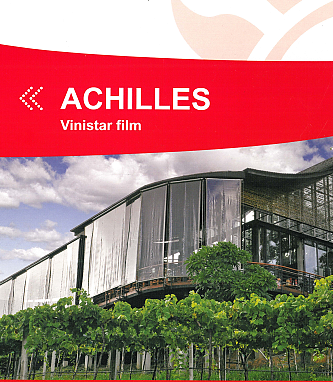 PVC Coated Fabric Canvas is durable with UV protecting agent and coated for fabric smoothness. It is 100% water resistance with a life span of 3-5 years depending on usage. 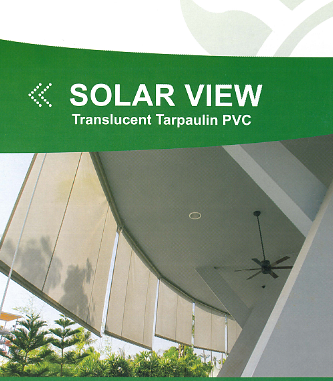 Translucent Tarpaulin PVC is specially produced with the ability to filter light from 45%-85% depending on fabric color. It is durable and has UV protecting agent. 100% waterproof with a life span of 3-5 years depending on usage. PVC coated screen. 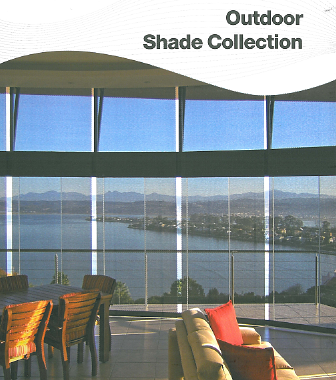 Imported from oversea, this PVC coated screen is durable and can filter light up to 95% depending on shade color. 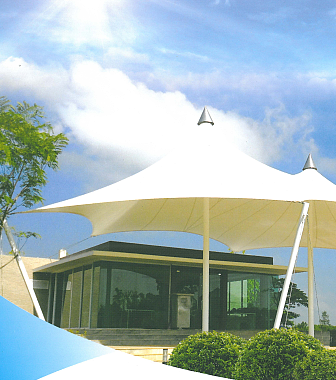 It is suitable for roll-up canvas inside buildings. Life span of 3-5 years depending on usage. Special Plastic Canvas produced and imported from Japan. Soft UV in the plastic layer helps extends life span. Not easily fade or turn flake. With varying thickness of 0.50mm, 0.75 mm, and 1.00 mm to choose from. 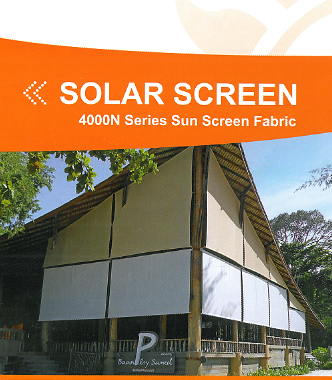 It is suitable for roof, roll up blind, window, and tent etc., Life span of 5 years depending on usage. Light Filtering Shade. Fabric is woven from synthetic material with UV protecting agent. 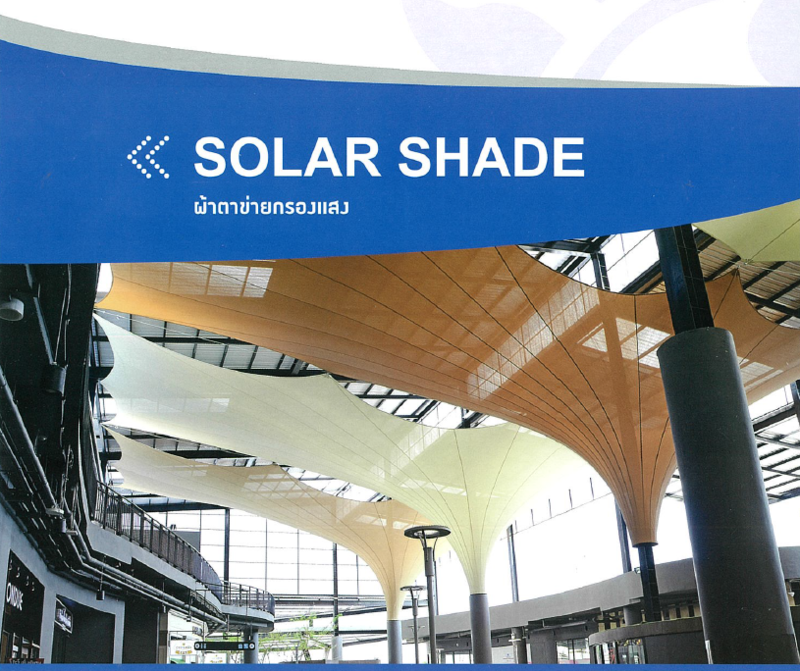 Able to withstand all climate and protect you from sun light for up to 98.8%. Firm frame structure can support high stretching force. Life span is 10 years depending on usage.